Amazon Relational Database Service or Amazon RDS can help you set up a relational database in the Cloud. Amazon RDS is supporting Oracle, MySQL, Microsoft SQL Server and PostgreSQL database engines that can be set up, scaled and operated in AWS. With Elastic Cloud Gate, you have all the necessary tools to create RDS backup snapshot and avoid all the hassles when creating and managing custom tags. 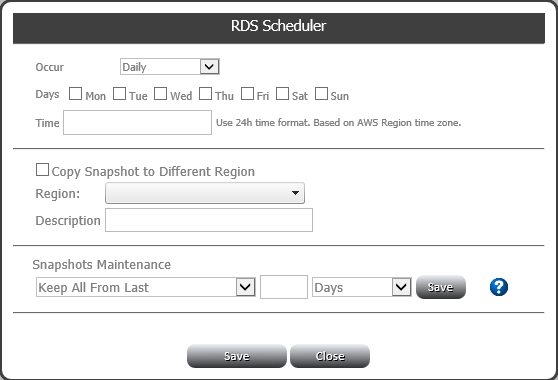 It has all the complete features like schedule snapshots, review RDS status, review RDS snapshots, create RDS tags, review DB log, review RDS events, chart RDS metrics and copy snapshots between multiple AWS Regions simultaneously.